The subscription retail model is gaining popularity, and not for no reason; it’s allowed people to curate some really amazing, unique packages. Yours is pretty unique, in that it’s quarterly, it’s significantly higher-end, and it’s also a complete surprise! Why do you think that the element of surprise is such a desirable ingredient in that? We’re trying to think about what our customer’s buy who’s like, age between 29-40, what these guys have in their lives and what’s rare. One of the sort of main things that we were thinking about or just exploring this and looking at what’s out there is: an element of surprise is something that you just… it’s so rare, you can’t get… you can’t orchestrate, everything is quite predictable in their lives, if you’re working professionally , which a lot of our members are, then you’re on a day-to-day basis. Everything is about expectation and getting things to appear and emerge in your life, in a working capacity the way that you imagine them to be. So, for there to actually deliver something to someone… to receive something which you don’t know what’s in the parcel or what it is that you’re actually receiving and to get that surprise element is a really kind of a rare thing. So we think that’s a really important driver, and when we launched the site in June, you know, we didn’t really know because this is all a hypothesis as well. We did our research, we didn’t know whether that price point, actually we took that to $330 per parcel, we didn’t know whether that would be sustainable, because everybody was doing parcels at $10 or $20 or $40 per month or per quarter. But, we found that we had a whole lot of people signing up by just looking at a picture of a parcel on the website and a description. So, it definitely hit a vein there with a certain type of guy who wants really really great things, who wants exclusive and rare things, and who wants that sense of surprise. Definitely. Especially if they are involved in the same industry, and they don’t already know about it through GQ, Cool Hunting, or similar sites. It’s hard to find something that they haven’t seen already. That’s right, that’s right. Like if you, especially if you’re in the industry and you know some of the brands that we’re working with, then that respect level just jumps up a whole separate level… like a whole separate stratosphere. I think that the different layers of people who… we have some people who come to us, and you look at the comments on some of the sites, where we’ve gotten editorials, and you see a really mixed bag of commentary going on. Some people will write “What the hell? Why would I pay $300 for a parcel full of crap that I don’t need?” or “Why would I pay that amount of money without knowing what’s in that parcel?” I think that’s a different kind of customer that is at a different price point and sort of doesn’t get it. But if you’re, say for instance our last parcel, the Study parcel, we had a piece in that by Le Labo, which is a French perfume brand. Now we worked with them on a… they had actually produced a metal canister, kind of like a shell, like a round shell from WWI that contains perfume. And so, we we their release mechanism. 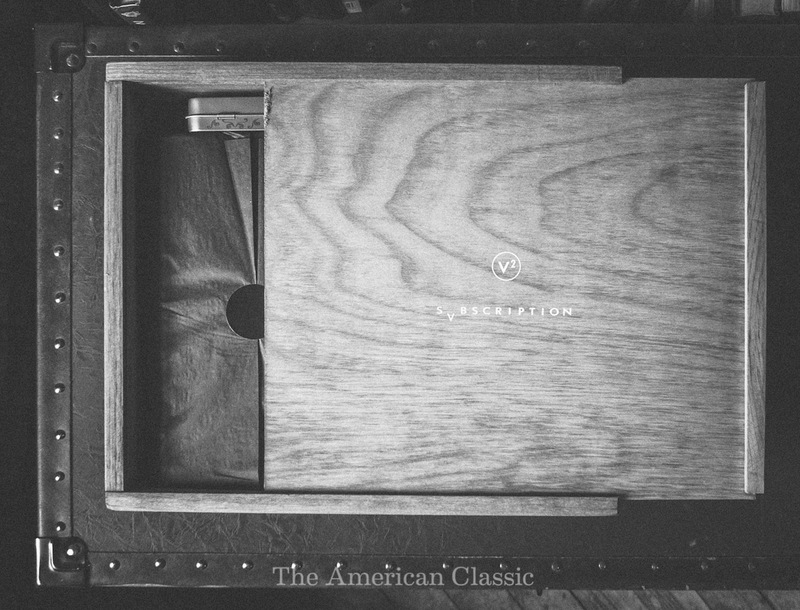 Now, when that went out in the release, who were our customers who were their customers saying “Wow, I’ve received this, this is fantastic, I’ve got it before anyone else.” And they already knew the brands and they already knew the taste level, and plus they’re getting something that they couldn’t walk into a Le Labo store and get. And now, they can’t actually get it, it’s actually sold out. The manufacturer, the key person at the manufacturer of this metal canister left the company. They can’t produce the exact same kind. So these people who have a really good taste level who get the sense of rarity or commodity get something that’s completely exclusive before everyone else, and that’s a really incredible thing. You know, I think the assumption with a lot of people who are receiving cheap insufficient parcels is that it’s a box full of stuff, you’re not going to like this… whereas with us, you’re getting really thoughtful pieces that are part of a collaboration that are either rare or exclusive. It’s significantly on a different level entire from other subscription services, where every month you can think “I like this, I want to get that” or “No, I don’t need this this month” or “I don’t want that.” But receiving the Svbscription box in the mail, I don’t think I’ve waited by the door for so many days in a row. After seeing the first one with the little crowbar for the nails, all I could think was “What are they possibly going to send in this thing?” I’m glad you brought up the Le Labo piece though; the level of personalization that went into that piece, my name printed on it, my initials engraved on the tube… that’s an amazing level of detail. I was floored by it. Yes, that’s like… total concierge experience. It’s so rare to get that level of personalization. Maybe if you shopped at Barney’s for 20 years and had a personal shopper who knew you, you might get that delivered to your door as an unexpected gift, but apart from that you can’t get that experience elsewhere. So, what’s the lead time on a project like that? Are you already working on parcel #5? We’re working on Svbscription #4 at the moment; we’ve already locked off #3 which goes out in December. The evolution of the process is that, when we first started out, it was a test. This parcel that we just did, Study, we’re really happy with the fine tuning. The next one is kind of scaling up and exploring a few more relationships, and I think there’s still some testing to find out what our customers like and might not like. But Parcel #4 is actually… we have quite a volume of customers and a quantity of customers where we can reach out to really really great brands, and great brands are reaching out to us as well. We sort of had a few limitations in the past with ordering and with timing, but you know, the vision, the endgame with Svbscription. If you look at it in a year’s time, you’ll be seeing a real mixture of a big brand that you know, doing something that you may be thinking is kind of cool once, or not as cool, but that brand will be doing something very very cool with us. And shops will get some muscle in ways where they don’t often get a chance to flex their muscles because of the market. And then you’ll get another piece in it from a designer you’ve never heard of before, just somewhere like they might be in Denmark or Turkey, but we’ll get to introduce this new product, this new designer and then you’ll have a connection with them. Then we’ll connect you with a really cool independent designer or brand, who you have seen on Cool Hunting or Portable somewhere. The idea is that we sort of take you on a bit of a journey, and helping brands be innovative and also introduce you to new and cool stuff as we go. We’re only like, 5 boxes in though. It’s a great opportunity, like you mentioned before, for brands to be able to do something new, experiment with something, that they normally wouldn’t, or for an up-and-coming brand to really, really launch and get out there and just have it dispersed to all corners of the globe. You’re based in Australia, you’re based in New York, you’ve pretty much got everything in between. It’s literally on the other side of the Earth. It’s international, that’s what we found really interesting. Half of our members are based within United States, and roughly the other half… like this morning I received an email from Turkey (we were featured in a Turkish GQ) and they wanted to see what shipping was like, would it get through, and we’re going to investigate how that works. A lot of these people just, you know, they can’t access a lot of this content or a lot of these products in the places and countries they are. So having that kind of proximity is really useful, really really helpful. Oh yea! Yea it’s funny, you’re stopping me from doing this right now [laughs]. It’s a welcome distraction. So I’ll just give you a little bit of background. My background is actually, early on, in broadcasting. I studied media and journalism and I actually always wanted to be a writer, and then I went into radio and have sort of been pressing that in the different professional lives I’ve had. 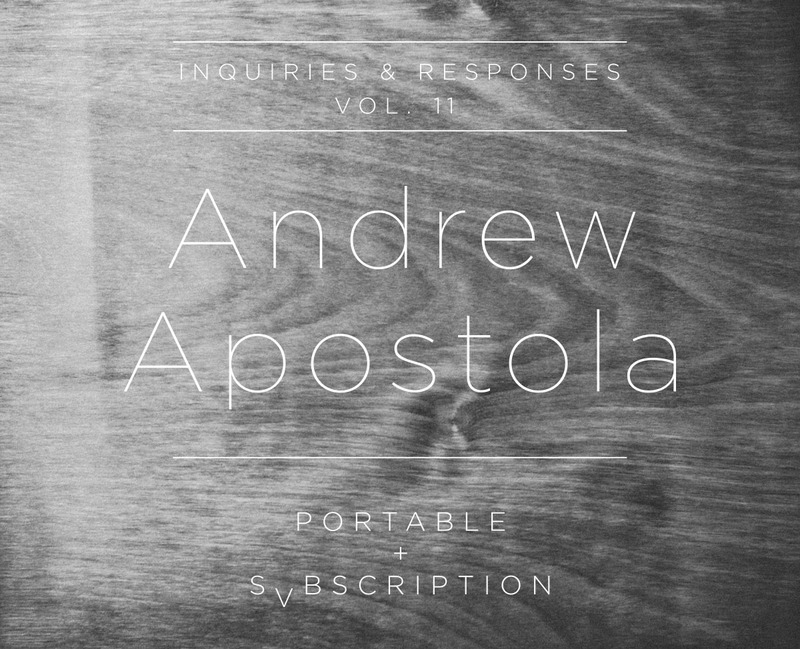 So going from there, the past 7 years I’ve set up a company called Portable. Through Portable we were there for the second wave of commerce and the internet: video and social when it came through. We’ve sort of watched and helped a lot of brands get online. We’ve seen a lot of people who have done exceptionally well, and a lot of people who have failed miserably. A lot of those people who failed are those that had come from traditional retail backgrounds, and trying to make that jump but held a lot of assumptions. We sat down last year and went, well… we’re working with a lot of people, we’ve got a lot of information and a lot of findings, a lot of takeaways, and people are sort of repeating the same mistakes over and over again. So we thought we could tie that and put all of that knowledge into a book. So, anyone working in the fashion industry can sit down and have a sort of bible and a really practical understanding of how things work, and why things work, and how they can get started. I think with online, you can browse a hundred topics without really knowing what’s definitive, so we thought it would be really good to have a kind of bible for the industry. So that’s what we’ve done with Taking Back Retail, and part of Svbscription is coming out of that seeking out retail models and how they work, and why is online so prevalent. We really think that online was something that was going to happen as a natural evolution of retail. One of the things we hate about the current retail model is that you have designers who basically are summing up a hell of a lot of cost to come up with a collection, you have shops and retailers who will then buy that collection four months in advance (often without a deposit), and then pay anywhere between 60 days and two years after actually receiving the goods, if they even pay you at all. The customer is sort of sitting at the end of the food chain as well. So we thought: there’s got to be a better way to use these models, there’s got to be a more interesting way. That’s why the subscription model is really interesting, particularly in what we’re doing. We’re basically saying: you’re a customer, you’re interested in this specific area of luxury goods for men, so sign up and with that buying power we’re going to make taste decisions about what you receive. Therefore, we have buying power to buy and order units early, we can then work with brands and we can go to a small brand or a big brand and say ‘Give us a budget for this item,” and when you think about it, in a few months we’ll be making anywhere between a fifty and eighty-thousand dollar order to a specific vendor, and that’s really rare. It gives them the opportunity that will sell and so they can explore and test it, and the vendors get paid early as well. We take a profit, pay them within days of shipping, and the customer gets something. I think that exploration of that experience of what’s happening online has led to Svbscription and that’s what that books about; it all ties in together. The thing I like about the way that technology has evolved and the way that retail has evolved is that it’s breaking out the middleman in a very interesting way; a small manufacturer can make something literally in their home and sell it directly to the consumer, either from their own website or from a third party. Most people with storefronts that I speak to still do 70-80% of their sales online. What’s interesting that we found, and this is what the basis of Taking Back Retail is, is that you can get online and you can have a storefront, and you can you can sell direct to public through this. However, there’s a really big element of building up sales and an audience and a customer base; that part of the commerce experience, traditional retailers who have been working in traditional retail spaces know that better than anyone else. Basically, how to work with customers, they know everything about visual merchandising, how to change the merchandising with the seasons, how to profile customers… the really good ones know when to go on sale and when not to go on sale and they know how to order. The only things that’s happened is all these online stores have launched, these online marketers that have gotten to market a lot faster than these traditional ones, so we’re trying to provide a series of tools to help them catch up. You see a lot of people that are trying to manage a direct-to-customer relationship but fail miserably because they don’t understand buying, they don’t understand visual merchandising, and they have to learn and they get some bad experiences. So we’re at a really interesting juncture in retail and commerce at the moment, and I think we’ll be all settled within the next ten, fifteen years, but I think now is a really cool time to work in. All things considered, I absolutely prefer to shop in person. For the most part, I like going to choose something and actually hold it and look at it, and the biggest thing is I need the instant gratification… I feel kind of empty paying for something online and waiting. Then again, if the same retailer has a good shop online, and especially if the customer service is good; if you can pick up the phone and actually talk to one of the owners or one of the makers instead of someone who’s job it is to take calls and tell you ‘yes or no,’ then if you can’t make it to the store at least you have some kind of support. So, do you guys have a limit to the size of the parcel? Everything fit in there really neatly, and I know it’s part of… the other box is really similar. I was also thinking about if there’s significantly more brands that you started working with, how big the pool of items is that you eventually pair down and what different factors are involved in that decision. I’ll say at this stage, at the moment, for the first couple of parcels it was all about scrambling together to get it right, because we had a lot of run-ins in the process. It less about whittling it down and more about getting the ones we really wanted and putting pressure and being really rigorous on getting the products into the parcel. I think that’s what I allude to when I talk about the refinements for Version 4; we now have a pool of people and brands that we’re targeting and we come to them with a budget for a collaboration and if they’re not up for it or can’t work with us for whatever reason then we move onto the next person. In terms of what is actually fitting into the parcel is a discovery process all in itself, and it’s really tricky; we’ve got to get dimensions and everything. We fit everything into and size up the parcel to a standard-rate USPS parcel for shipping purposes and it puts a lot of strain on what we can do. It’s all in process and we’re getting there and learning how to pack and distribute it from our New York office on 28th Street. It sounds like within the space of the last two parcels, the process for putting them together has become significantly more streamlined, so anyone who’s picking up the Volume 3: Leisure box will definitely be in for a treat. Yeah, it’s getting much much better in terms of process. This is a good opportunity to talk about the process of putting the items into parcels. So, what we do is… it’s actually a really long, extensive process, and one that benefits from the length. We take a more traditional design approach to putting together a parcel. First we’ll come up with a theme, and that will be one word, and then we’ll start to put together a moldboard based on a whole series of visual pieces that kind of reflect the mood that we’re trying to imagine, and every time that we come up with a theme we’re trying to re-imagine that theme for the modern guy. So for instance, when we work with ‘travel’ wer’re really trying to… when people asked what was in the parcel and I said “I can’t tell you,” they would imagine really outdated things, a lot of stuff from the past, like Ernest Hemingway iconography or ideology: “Oh you should get people a hip flask” and “You should get people this.” We try to imagine the modern guy and we try to imagine what he might need, for ‘study’ as well, and that’s what we’re doing for ‘leisure.’ So we’ll then go and think about it through the pieces, we’ll try and look for some vintage inspiration that we can use, and that then will fade into the process where we’ll give that moodboard and that brief to the firm or the brand or the designer that we’re working with or collaborating with, and then work with them to produce work with our quality assurance to make sure it meets the specs. It’s a very intensive process, but it’s one that’s designed to have a modern take on what our member is at the end of the process. So it’s a lot of pairing down and really boiling down and exploring what the theme is and what it can mean. Exactly. So we’ve gone through the same process with ‘leisure’ and it’s a very contentious theme. We’ve come to… we all came to that theme with differences in what ‘leisure’ means. One member of our team sees it as a very outdoor-based experience. I see it as being a very indoors based experience. The definition of ‘leisure’ is the use of time whilst away from doing things that need to be done, like work or chores… so what do you do with that alternate time? I suppose for me it’s very indoors, it’s very solitary and reflective. You can go rock climbing for your leisure activity, or you can go bike-riding or something active, so we have that debate internally, so I think the parcel kind of reflects a bit of that debate that happens. Our idea of what leisure means for the modern guy is kind of that polarity, that extreme. Our guy doesn’t get leisure time, it’s so hard to achieve it. He’s at work, he works in a very very professional job, he’s relied upon and when he comes home he’ll have a partner or a kid and time is really really scarce for him. We imagine a scenario where for some reason, our guy has a day off, and it’s unexpected, and he gets to go home and he has absolutely no duties. Maybe like what’s happening now: a hurricane struck, there’s no electricity, he can’t access his phone, he can’t do anything… he’s stranded, all his friends are elsewhere, his partner or girlfriend or kids are all somewhere safe, he has to then come up with… do nothing. It’s funny talking about it, I’m sure it’s happening for some guys right now living in New York; that’s what we try to imagine with all of this. Coincidentally, that’s how I feel about the ‘Study’ package: the only spare time that I have I usually turn everything off and sit and read at the end of the day. I definitely see how there can be a lot of different debates about people’s personal leisure time, it’s very personal and can span any different number of activities or attitudes. 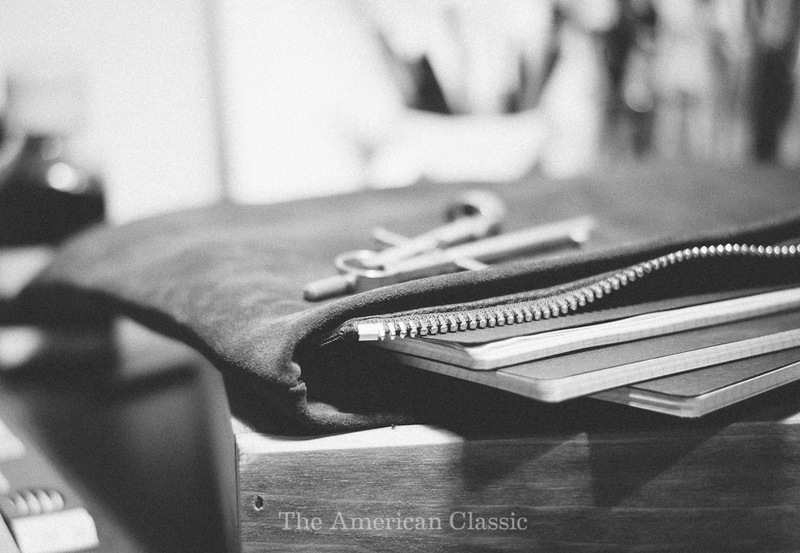 I guess that’s also the line that’s skirted in ‘Study’ too; there’s universal items like the Loden Dager folio, but items like the scents can be more of a personal taste. Does that ever come up in the construction of the box when you’re curating it? Well I think the thing with that taste, that we sort of tackled with including it is… well you’re sampling the fragrance and the brand. Like for me personally, I don’t wear fragrance. I tried it when I was younger and I just don’t stick with it. 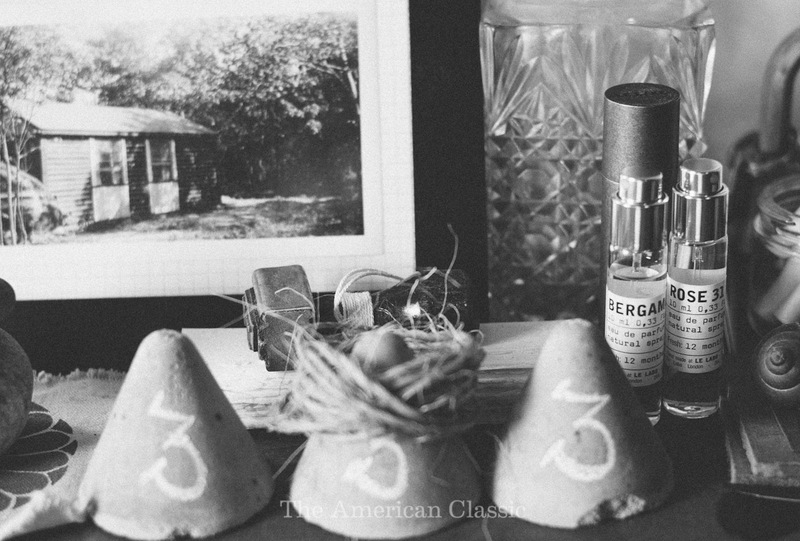 But, for me, that Le Labo piece is the best piece in the whole parcel; it’s more of a takeaway, more of a keepsake. You can move all the junk around in your house as much as you want, and you’re never going to throw that away. That might actually be something I have for the next 50 years, that when I die they’re going through my belongings and my grandson will be like ‘Oh that was my grandfather’s, I might want to keep that.” How do you actually go about acquiring those pieces that are timeless? So that was part of that consideration, so it was less about personal taste and it was more about timelessness. That’s actually a really fantastic point. 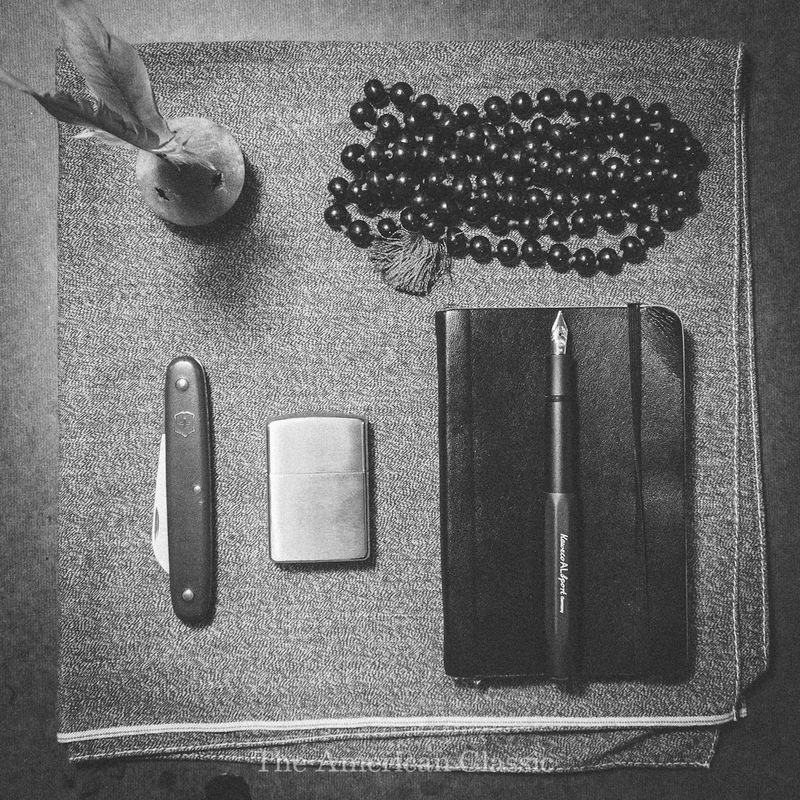 I do feel that way about it and I will never have a reason to part with it; it sits on my nightstand, with the other things that are… actually it’s sitting next to the Kaweco fountain pen and a pair of Ray-Bans right now. I like that, it seems like the travel one had a sense of timelessness also. I think that that did as well. I was really upset because I was away during the parcel packing process, I was in Mexico on a holiday and I wanted a specific colorway from the passport holder and I didn’t get it and I was so upset. I was out a few weeks later and I was telling this to someone I realized also had a Svbscription and he said he really loved it and I said “Oh that’s great!” He said “yeah I love that passport holder but I hated the color, I just wasn’t into it.” I said “what color did you get?” and he said the navy one and I said “I wanted the navy one! Which one did you want?” He said the cognac one and I said “I got the cognac one!” so I shipped it to him in Australia and he shipped it to me in New York and now we’re all happy. But a piece like that has a personal touch; you’re never going to buy a passport holder for yourself, you just aren’t, you know? It’s one of those things. It definitely has that kind of element about it. The Steven Alan beach blanket is a really great piece; I had it, it looked great in my house, and I took it with me a and threw it in my bag when I went to a wedding in the south of France a couple months ago, and it was just great. I used it everywhere and took it everywhere and it became part of the holiday and experience and photos. It’s that consideration. One of the things we did say when we started, one of the inspiration pieces or statement was that we wanted to deliver things that when you were a kid you would look at on your father’s desk and you’d wonder what they were and how they got there. So that kind of timelessness theme, we don’t overly state that on the brand site but it’s definitely there. Yeah, I like that a lot. I especially like that about the folio; I always have a sketchbook, a couple different notebooks for work, some manilla folders full of things, and I never really thought that there could be a decent piece to put all of this stuff in. I’ve actually been using that piece and the fountain pen almost every day. 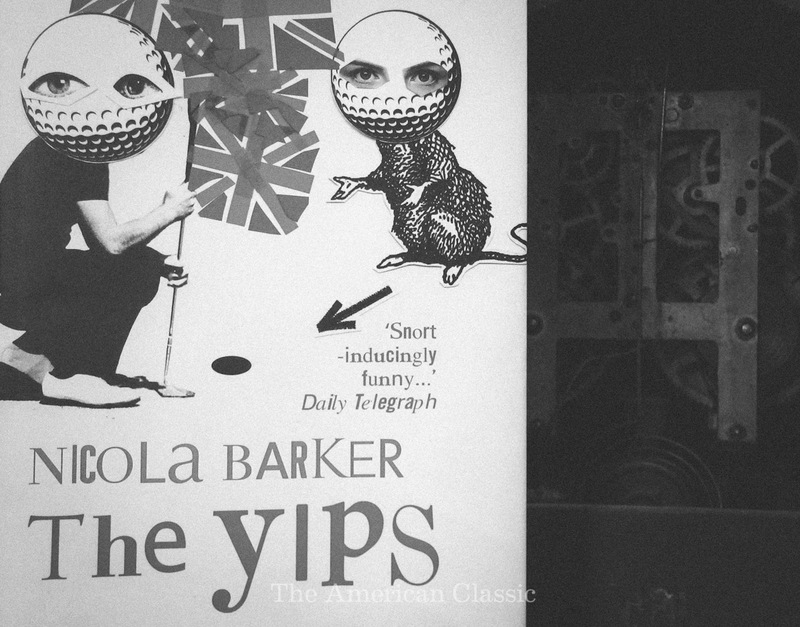 I haven’t started reading The Yips yet, but when I do it will end up carried around in that one piece next to another. It’s always nice hearing how people actually use it and resonate with it. I’ve yet to use the fountain pen but I’ve been moving house so I’m still struggling to set up my work environment. It’s interesting to hear how you’ve experienced it! We’d like to thank Andrew Apostola and Emma Meres for including us in the V2 parcel and for being such genuinely great people to work with. If you’re new to our site, we highly recommend checking out out coverage of Portable’s Curator’s Conference in New York earlier this autumn. Enter for a chance to win one of five limited-edition Svbscription V3: Leisure parcels from Brooklyn Magazine here.